Afzal Guru, convicted for his role in the attack on Parliament in 2001, was executed at 8 this morning at Delhi’s Tihar Jail, Home Minister Sushil Kumar Shinde has said. 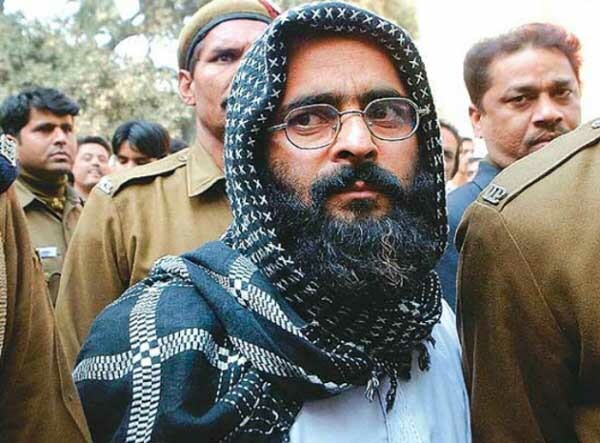 In 2004, Afzal Guru was given the death sentence by the Supreme Court. His hanging, scheduled for October 20, 2006, was stayed after his wife filed the mercy petition, which had been pending with the President’s office since. A curfew has been imposed in all 10 districts of the Kashmir Valley to prevent violent reactions and cable TV services have been disconnected in some parts; Afzal Guru belonged to Sopore in Kashmir. Many in Kashmir say Guru was not given a fair trial. Chief Minister Omar Abdullah has said repeatedly that Guru’s hanging could have grave consequences. In December 2001, five heavily-armed terrorists drove into the Parliament complex and opened fire. Nine people were killed, most of them members of the security forces. All the terrorists were shot dead. A few days later, Afzal Guru was arrested and accused of planning the attack.